It is the time of the year again when I will be getting my annual dose of creative inspirations. I call this my Design Days Inspiration Pill. 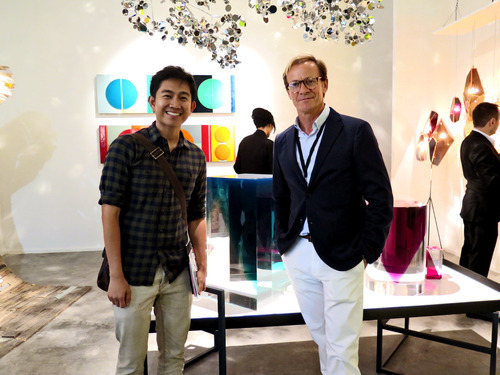 Check out my blog about last year’s event (Event Blog: Design Days —> My Eye Candy). 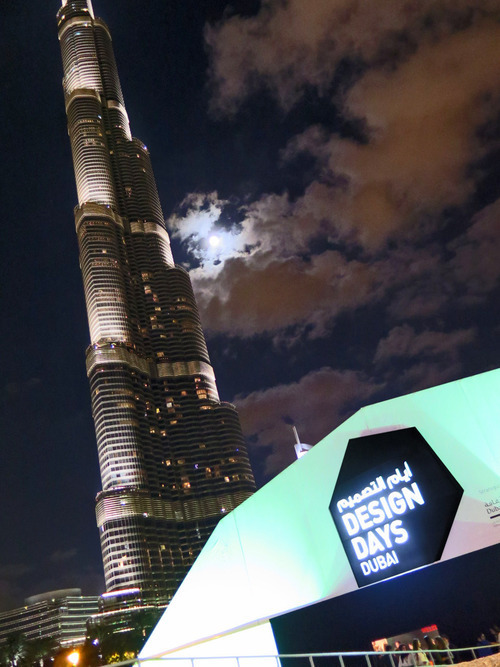 Design Days Dubai 2014 – Trailer from Design Days Dubai on Vimeo. 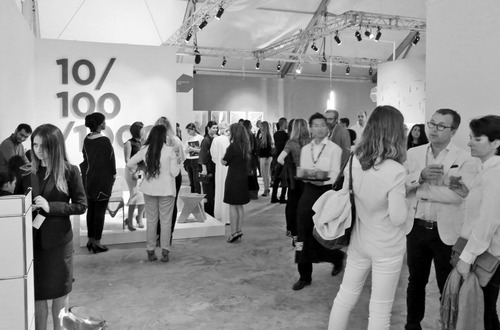 For a whole week, Downtown Dubai will be the location of the annual Design Days tent. 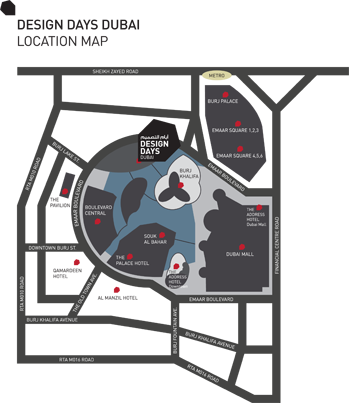 Design Days is a furniture design fair which houses design galleries from different parts of the world. 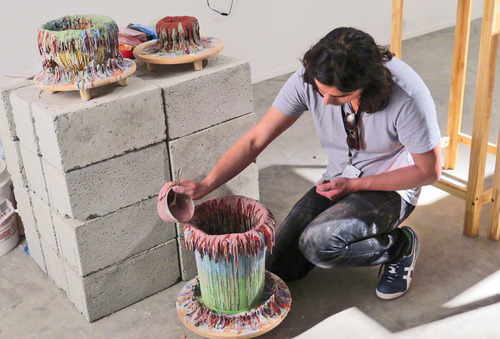 This year, on its 3rd installment, a total number of 34 galleries will be participating with eight new countries being represented and ten galleries from the Middle East. 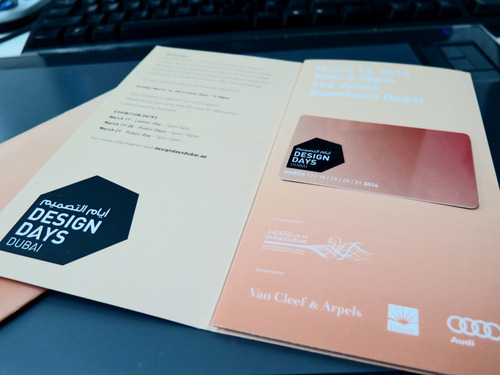 Design days will run for the whole week from the 16th of March up to the 21st. I was fortunate to get an invitation for the grand opening last Sunday (16th of March) and saw all the galleries before it will be opened for the public. I really like the collection this year. It is diverse but at the same time uniform. 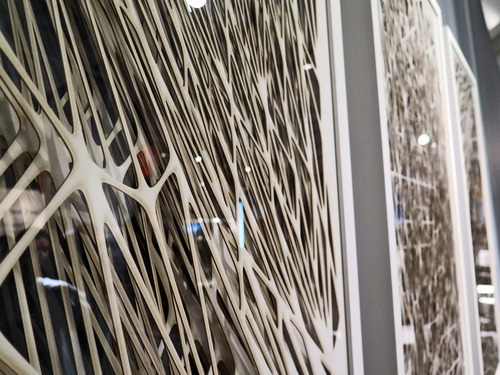 Compared to the previous years, you can see the cohesion of all the galleries, individually and as a whole. 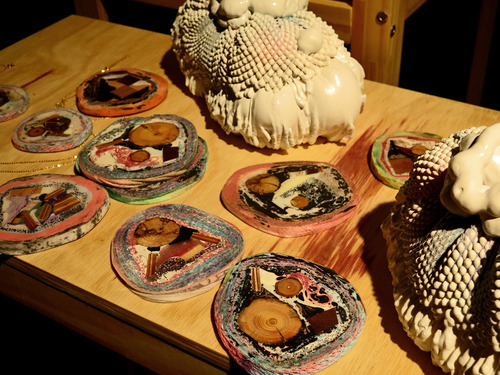 You can see a lot of brass, marble, wood, resin and leather, creating a more contemporary collectible pieces. You can really see the richness of craftsmanship in every piece. To add as additional references, I placed all website links of all the pieces mentioned in this blog below every photograph. First stop, before I went to every gallery, I stopped that the Van Cleef & Arpels booth. I was guided to see their luxurious pieces (which I can’t really afford even if I save for a year). What catches my interest is their L’ECOLE section. 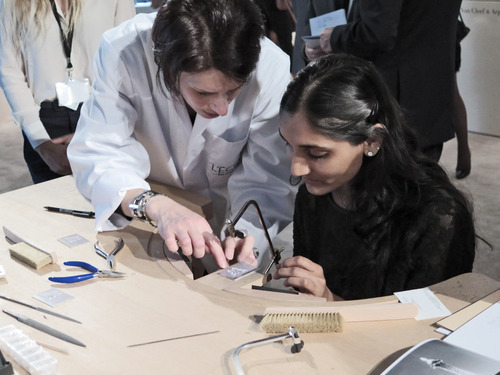 L’ECOLE Van Cleef & Arpel is hosting a workshop entitled Experiencing the Art of Mock-up Making. 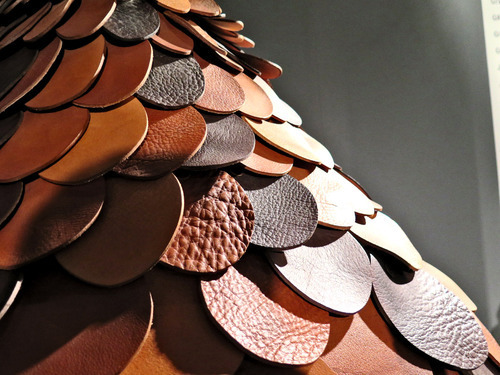 Here, you can experience first hand how craftsmen create masterpieces in their workshops. Each session will last for 30 minutes and to register, you can send an email to events.me@vencleefarpels.com (or just visit their booth). As I continue on with my visit, I passed by FN Design‘s gallery. 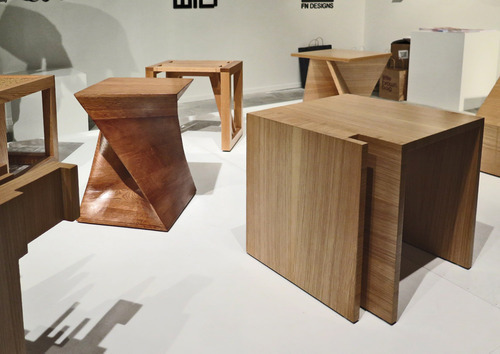 This Dubai based design studio displayed several irregularly shaped stools (I’ve seen this in the Facebook Page, so I was really excited to see it in person). 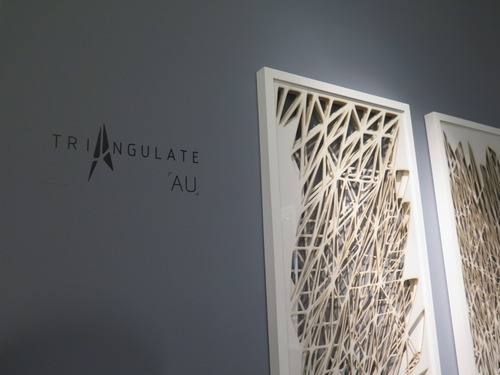 This piece was one of my favorite among the displays. You can find it in Coalesce Design Studio from Karachi. 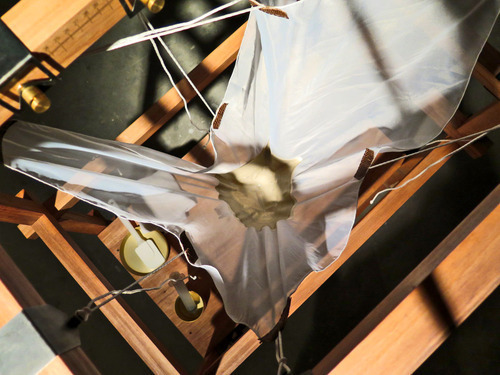 A very interesting and playful piece, it gives the illusion that piece is floating at the same time emerging from the ground. I know what you are thinking, sadly all the blocks are fixed and you cannot rearrange it ( yes we asked—cause we want to play with it). 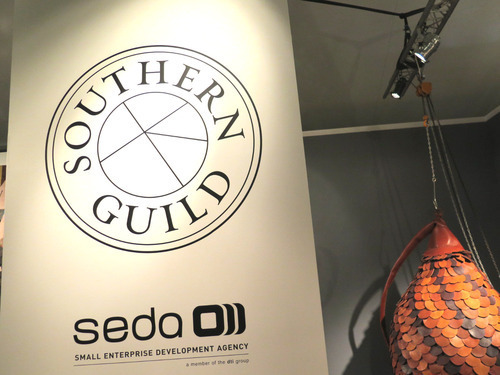 Another interesting piece was this nest like hanging chair covered in leather layers designed by Porky Hefer and curated by Southern Guild. I feel that it is too bulky but in this part of the world, big and bulky (and something that can make a statement) is a good thing.—-plus I love leather! 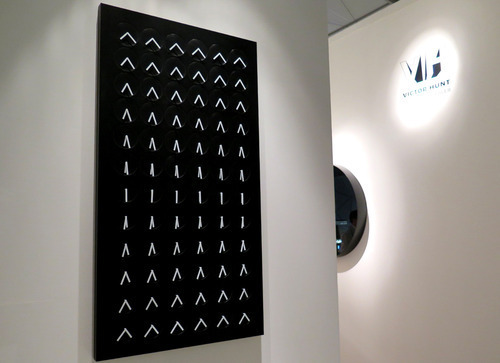 I have seen this clock curated by Victor Hunt. 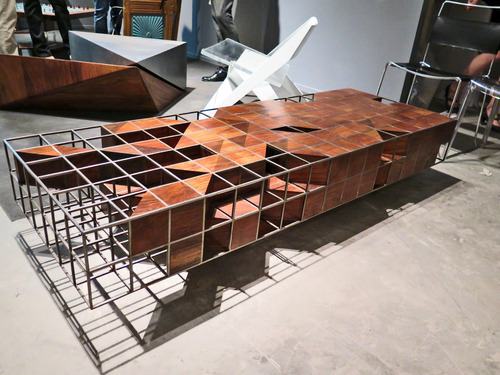 A bigger installation of this piece was seen during the previous year of Design Days. Even though I have seen this, it still amazes me how this thing functions and how brilliant this piece is. Aside from the regular galleries, during the night, there were also live performances from selected creators. One was Flowstone by Chen Chen and Kai Williams (USA). 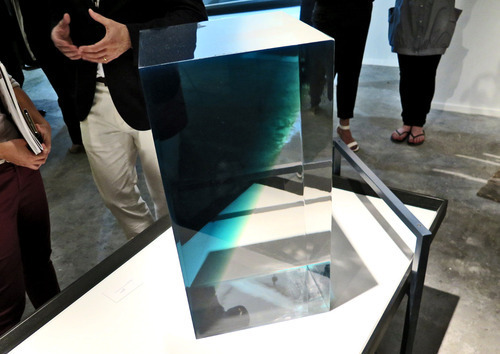 They were showing a piece that replicates mineralization which can be seen on rock formations. 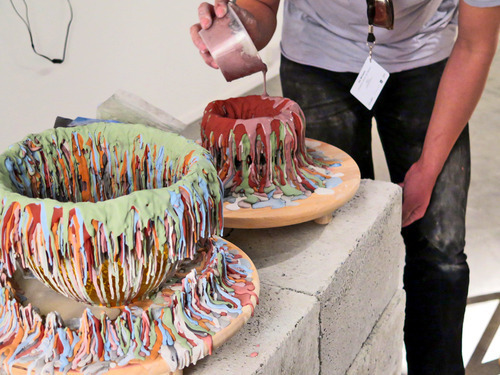 They used a dripping cement technique and fused it with other substances to create sedimented effect. (I hope I explained it well—whew—just go to their website). Another live performance was the LESS CPP by Gt2P (Chile). 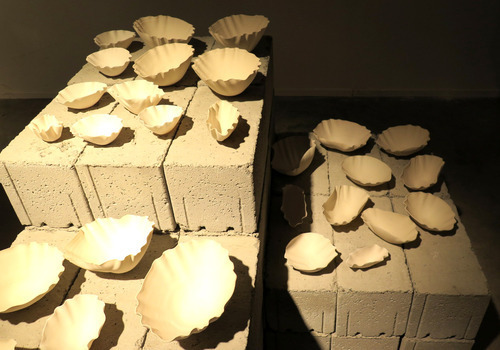 These are ceramics made from pouring plaster on a hanging fabric creating an irregular and artsy type bowl. Last but not the least, my ultimate favorite! This was a very funny piece and I really liked it. 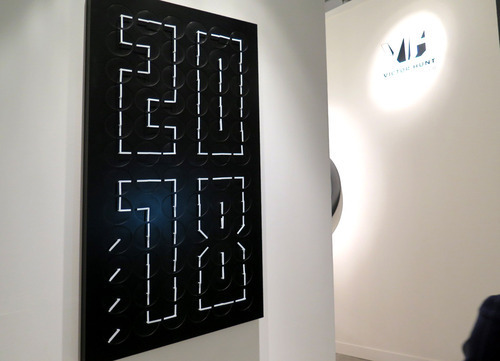 This is called the Grand Father’s Clock by Maarten Baas, and it is a literal grand father’s clock —-take my word on it! 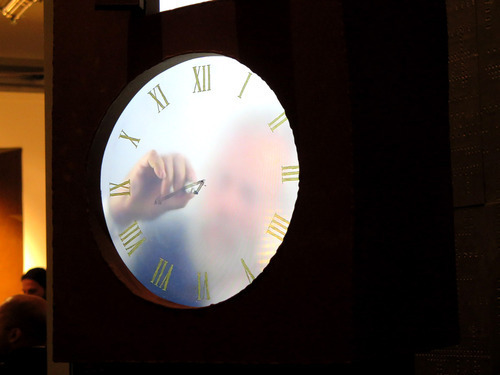 For every minute and every hour you can see an old man writing, erasing and changing the hands of the clock. The hostess even told us that there are times that you can see the old man drinking coffee or doing something silly (I haven’t verified this yet—but I want to believe it). 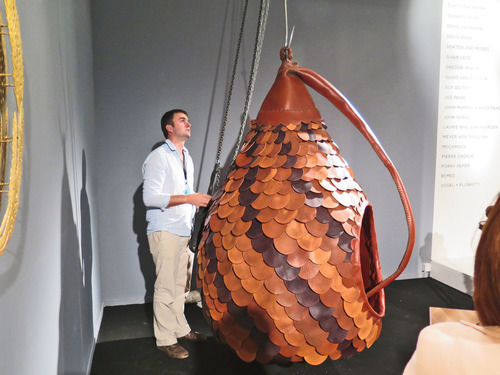 Check out the video below where the designer, Maarten Baas tells everything about his brilliant creation. Another year, another great collection. I love that my city is really doing its best in promoting design and the arts. Although we are just a city starting to embrace this discipline, we are indeed going in the right direction. I am excited for more events like this where people with the same love for design come together under one tent and share their passion with one another. To know more about Design Days, check out their website below. Here’s also the location map I got from google search ^^!